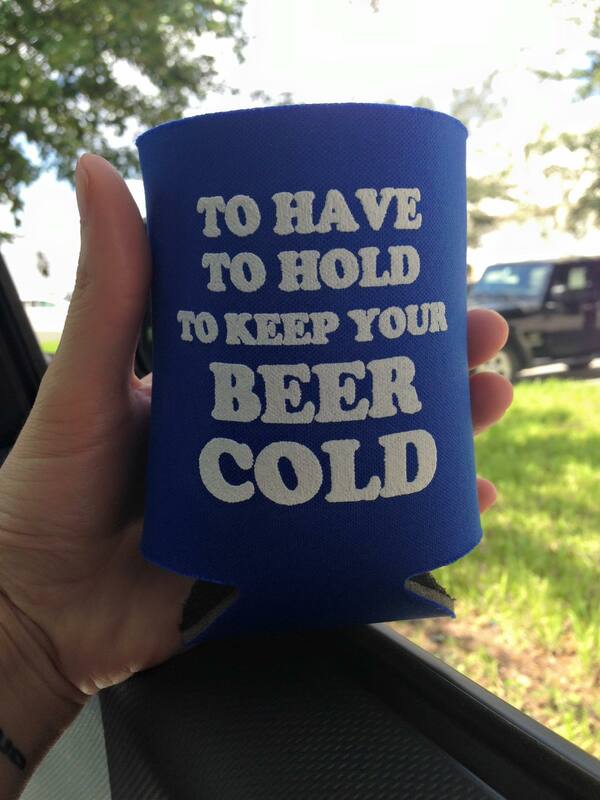 The perfect saying or image to print on you wedding koozies can make all the difference at your party. A funny or cleaver message can work as an icebreaker for guests (some of them will be meeting for the first time), while a romantic quote can get everyone in the mood for love. 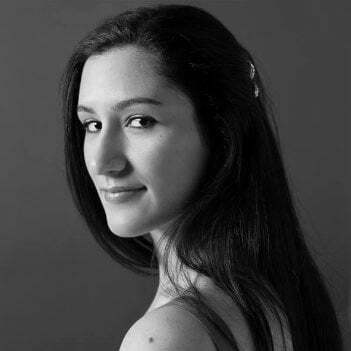 And while couples often make the decision based on the theme they have envisioned for their special day, it truly does come down to their very own unique personality. 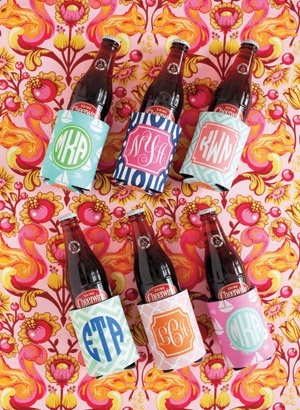 A practical choice for themed, beach and destination weddings, here are the top X koozie imprint ideas for your party. Getting guests to mix and mingle at your wedding may come as a challenging task. It often happens that it is during the event when some family members - and friends - meet for the first time. However, weddings aren’t like other parties during which you can have mixers to purposely get people meeting and greeting. After all, this is your big day and you shouldn’t have to second guess how comfortable and conducive the environment is. Name Tag Koozies are a great alternative to sticky paper tags (I bet none of your guests would risk ruining their elegant rags), and of course double as drink coolers. For sure some of your forgetful friends will thank you for the clever idea. They’d only need but give but a quick glance to their neighbors coolie to cordially address them by name. Black and white are traditional bride and groom colors you can use as the ground theme of your wedding. Classic and sophisticated, black and white are colors you can easily coordinate to, not to mention the many inspiring flowers and table arrangements ideas you’ll find across the web. This color scheme will never go out of style, and calls for timeless, effortless yet romantic wedding favors your guests will actually use well after your party. Ideal for destination weddings, koozies are collapsible, seamlessly weightless and easy to pack with you on the plane ride to your last stop. Plus, if you’re having a destination wedding, chances are it will be on an outdoors location. Beach weddings are popular these days, not to mention romantic. Nothing like saying “I do” with a beautiful sunrise or sunset as your backdrop. The downside to outdoor weddings is your guests will feel the need to stay hydrated throughout the event. You can easily solve that problem by providing a disposable water bottle station. 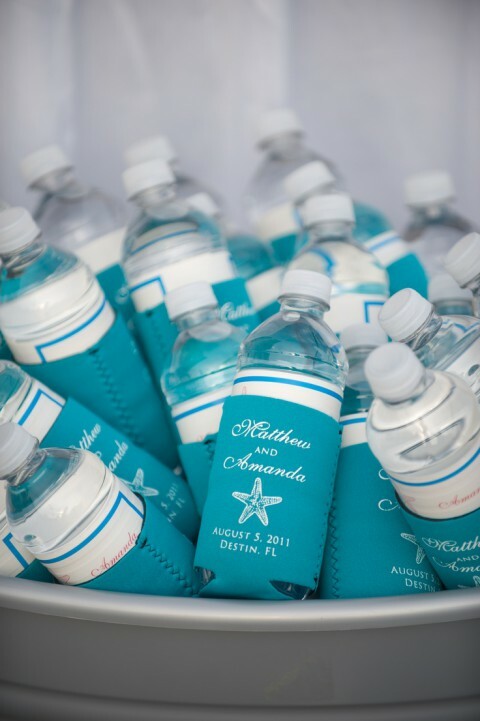 Although plastic water bottles aren’t exactly what you think of when you envision your special day, customized koozies can save the day and add a colorful finish to the thoughtful accessories. **Don’t forget about a designated area where guests can safely dispose of the bottles. Tender and refreshing, mint weddings are a great theme for the spring and go great in combination with a strong color like blue, coral or gold. Sweet and magnetic, you can style your entire bridal party to the color. However, if you’re not ready for the splash of pastel, you can include a few accessories for a soft accent to complete the feel of your party. 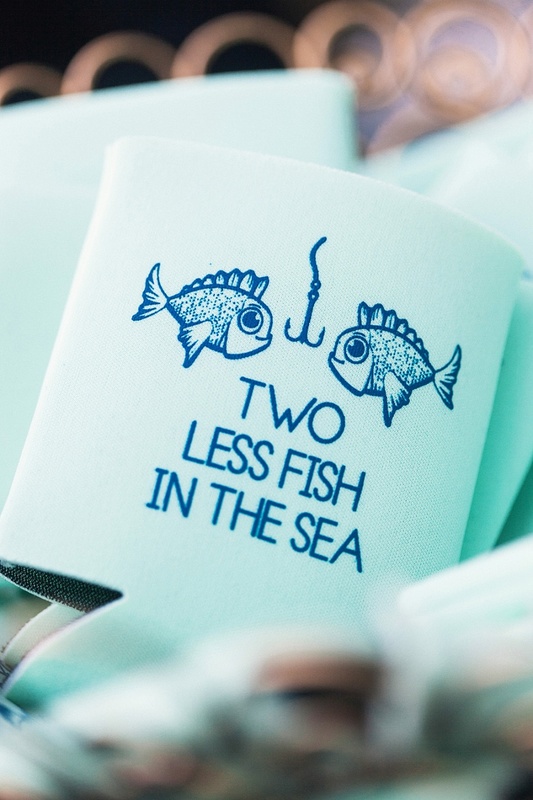 Mint koozies are great for outdoor celebrations, and can be paired with a fun and romantic quote for a lovely finish. 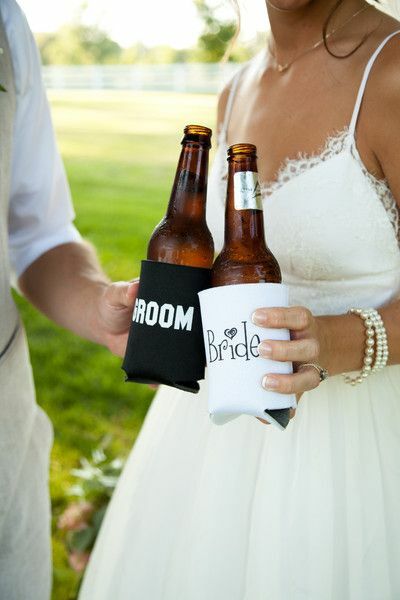 Patterned koozies are a great way to add color and vibrancy to your wedding party. Plus, they also let your share your creativity with your loved ones and friends. 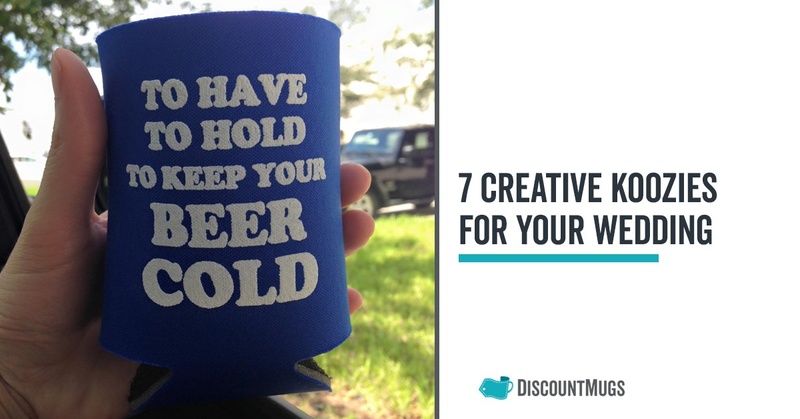 Patterned koozies require a more rigorous printing method as they usually wrap around the entire koozie so you may find them to be a bit more pricey, however, they're flexible in that you can select from a number of styles and designs to match the color theme of your event. Patterned koozies have an unexpected sass your guests will appreciate, plus they’re totally practical and many will find themselves using them in their own time. 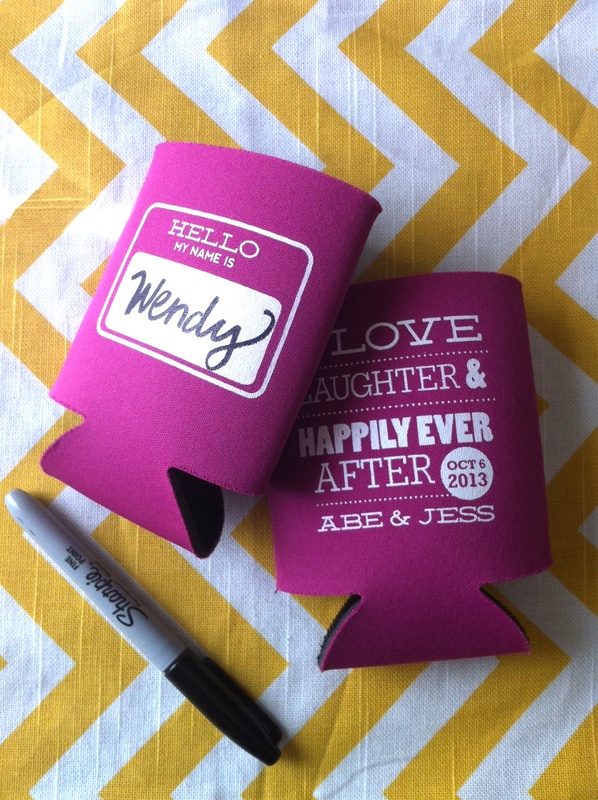 Personalized koozies are also a great way to thank your maid of honor and bridesmaids for joining in your celebration. After all, we know it’s your friends who will be there to prevents you going into bridezilla-mode and do everything in their power to make your day go as smooth as possible. An intimate way to say thank you, would be to plan a weekend getaway with the gals and be ready with gear that will make them feel appreciated. 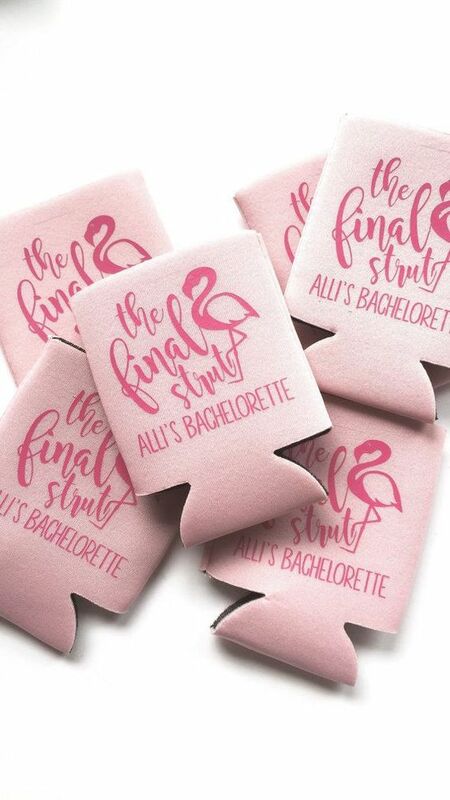 A fun touch for your Girl’s Night Out, bridal party koozies can be customized with your name, event date and artwork of choice. Koozies customized with a quote area great opportunity to express your exact feelings. Slogans can be welcoming and romantic, but also funny and trying. Keep everyone laughing during your event or have them sigh with awe every time they take a sip of their drink. A man is incomplete until he’s married … After that, he’s finished. Women have their faults, men have only two: everything they say and everything they do. Whether you opt for a romantic or humorous quote, custom wedding koozies will definitely reflect on your personality, and send a message to your guests about your love and appreciation. Let us know in the comments below what style caught your attention the most, and share with future brides so they can start planning for their special day. The minute you announce your engagement, family and friends will start asking for your wedding date. Be ready with quirky and fun wedding favor ideas that will get their attention and encourage them to get involved in the process!